Muhammad Ali, born Cassius Marcellus Clay Jr., was known for his battles in the ring as well as his achievements outside of it. An outspoken activist, he joined the Nation of Islam and followed Malcolm X during the Civil Rights Movement. He refused to fight in the Vietnam War for a cause he did not believe in, even though some saw him as a coward. Even with failing health from Parkinson's disease, Ali continued to fight for and defend people who were less advantaged. 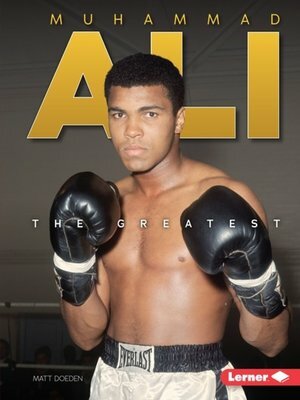 Follow Ali's journey from amateur to heavyweight champion, and learn how he fought in the boxing ring and advocated for peace and justice outside of it.